Jody Coats – Essex Realty Management, Inc.
Jody Coats is a Regional Manager with Essex. As Regional Manager, her role is to act as an executive point of contact for our owners and to provide support and experience to a designated number of our manager/assistant manager teams. Ms. Coats has been in the real estate industry for over fifteen years and has a strong understanding of all product types. 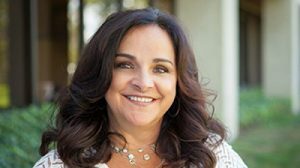 Prior to joining Essex in 2007, she was employed by CB Richard Ellis where she was responsible for all aspects of a 1.3 million square foot Orange County office project. Ms. Coat’s duties included the management and oversight of all daily operations including client relations, building operations, construction supervision, financial reporting, and tenant relations. Ms. Coats is a licensed California Real Estate Sales Person in the State of California and is affiliated with both the Institute of Real Estate Management (IREM) and the Building Owners and Managers Association (BOMA).